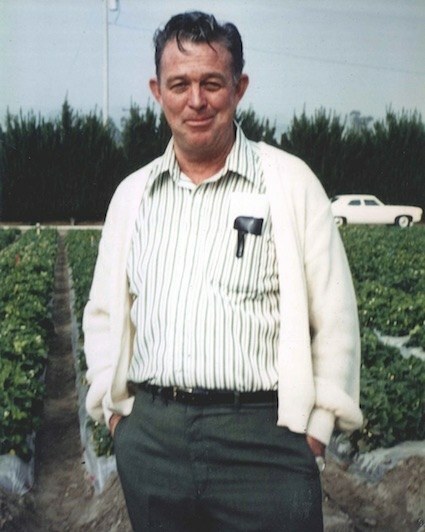 Lassen Canyon Nursery was established in the 1950’s by Clarence Popejoy. 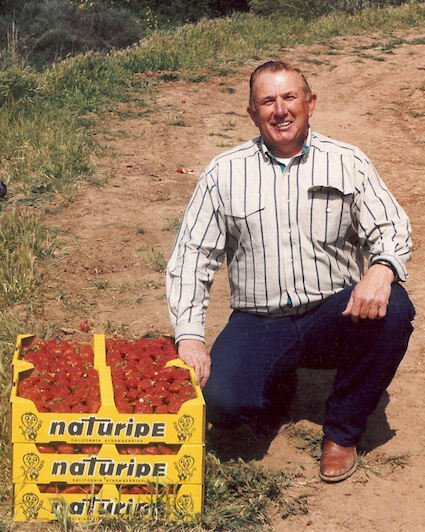 In 1951, after graduating from high school, Kenny Elwood Sr. took a job with Clarence learning the strawberry business. He worked his way up the ranks and became field superintendent. During this time Robert (Bob) Parker joined the Lassen Canyon team and worked on the administrative side while Kenny handled the field responsibilities. When Clarence got ready to retire in the 1970’s he sold the company to Kenny and Bob. The two ran the company together until Bob’s death in 1980. Kenny bought the nursery from Bob’s family. 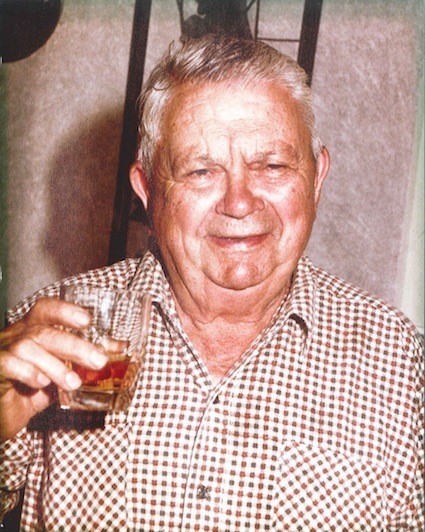 In 1988, Kenny Elwood Jr. joined the Lassen Canyon ranks. He learned the business the old fashioned way…from the bottom up. Ken Jr. has done most of the jobs at Lassen Canyon from changing pipe to picking blooms, to trouble shooting problems in grower fields. Ken Jr.’s sister Liz joined Lassen Canyon Nursery in 1995. Liz had it a little easier than her brother. Dad didn’t make her work in the field since she quit her law practice in order to return home and work for him. In 1998 Liz and Ken Jr. took over the general management of Lassen Canyon Nursery from their father. Although Ken Sr. remained integrally involved in the goings on at Lassen Canyon Nursery, Liz handled the administrative portion of the nursery and Ken Jr. was responsible for the field duties. Ken Sr. was then free to pursue his real love: cattle ranching including a large hay operation. The trio operated this way until Ken Sr.’s death in 2005. In 2008 Liz and Kenny added Scott Scholer and Jami Simmons to their executive management team. Scott has been with Lassen Canyon since 1993. He distinguished himself by consistently doing an outstanding job as manager of Lassen Canyon’s Macdoel ranch. Scott now brings that same skill and expertise in his new capacity as General Field Manager. Jami Simmons joined Lassen Canyon Nursery in 2006. Jami is a CPA with a strong agricultural and personnel management background and among many, many other things acts as Lassen’s Chief Financial Officer. This group, along with a small army of other talented and devoted people, makes up Lassen Canyon Nursery. We grow over 1200 acres of strawberry plants in California, Mexico and China and harvest over 930 acres of hay. We welcome you to our web site and thank you for your interest in our company.